Peak Transfer provide reliable airport and in resort transfers from Geneva to Les Contamines, get a quote and book online today. You can check out our Les Contamines Winter and Summer Guide in the Peak Transfer Blog. Les Contamines is one of the most charming ski resorts in the French Alps, which may be due to the fact that it is also one of the oldest. Rather than developing rapidly during the ski boom of the 70’s and 80’s, Les Contamines actually started out way back in 1850 when the first company of mountain guides was established. It was another 99 years until the 1st ski lift was installed in 1949 though, so it was all back-country ski touring until then… Happily things have been much improved since and the resort now has a modern network of lifts and a large number of snow cannons to ensure good snow cover all season long! There is a good mix of gentle green/blue beginner slopes and harder red/black runs, with a half-pipe, boardercross, rails and a big air bag for the daredevils! 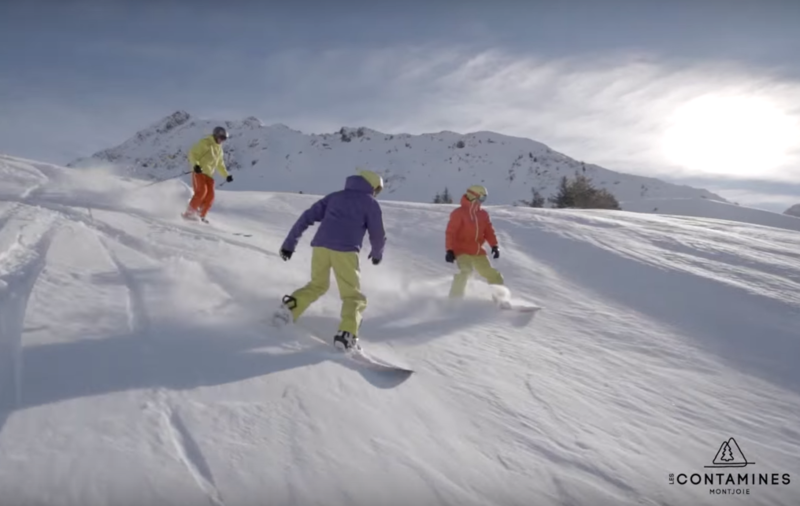 It is a great family ski resort with two dedicated beginner zones and ski or snowboard lessons available from a number of schools that offer courses in English to adults and children of all abilities. More advanced skiers and snowboarders will find never ending off-piste terrain to explore, with much of it being easily accessible and requiring little to no hiking. Of course,the further you hike though, the more untouched powder you will find! Les Contamines is also part of the Evasion Mont Blanc ski area, which includes 445km of pistes across 6 resorts in the Savoie region – Les Contamines, Saint Gervais, Megéve, St Nicolas de Véroce, Combloux and La Giettaz. Unlike some of the more purpose-built resorts Les Contamines has retained a lot of it’s character which is evident in the traditional wooden chalets, old farm buildings and typical Savoyard architecture. It still has the feel of an authentic French village with a warm welcome and friendly atmosphere. If you want to try some hearty local cuisine then there are plenty of cosy restaurants with wooden beams and roaring log fires to choose from, some of which are located on the mountain so you can ski right up to the door! Night life is not as wild as in some other resorts but there is a handful of good pubs and bars where you can enjoy an apres-ski beer or two and some live music, while you compare tales of your day on the mountain. 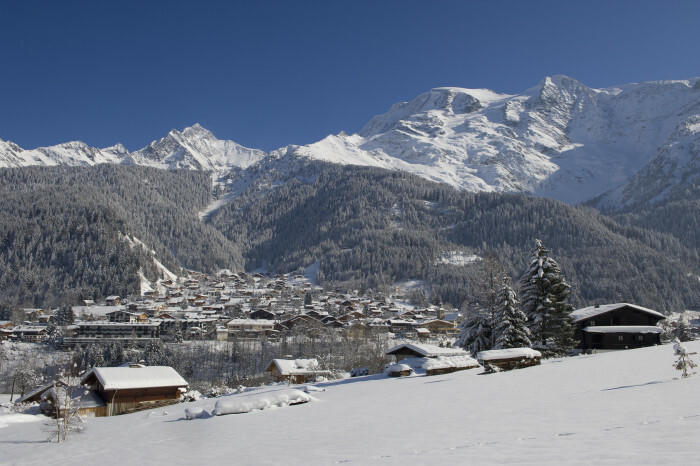 Les Contamines is one of the easiest ski resorts to get to, with transfer times from Geneva airport being just 1¼ hours. 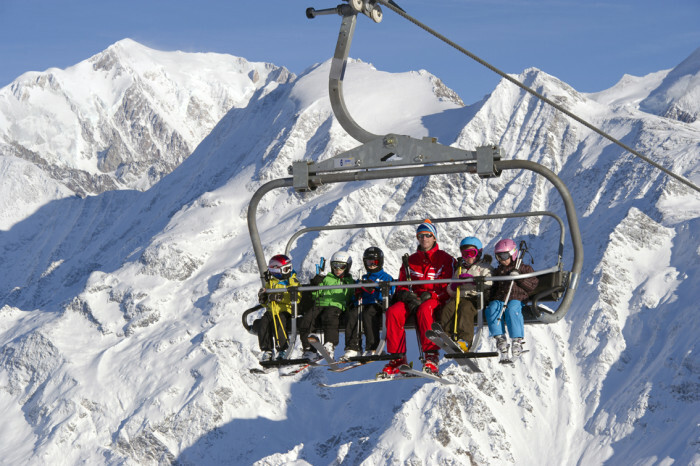 It is also only 15 minutes from the Le Fayet St Gervais railway station which provides a high speed train service to the neighbouring resorts of Chamonix and Megéve, should you fancy a day trip to another ski area. The winter season runs from shortly before Christmas to mid April.